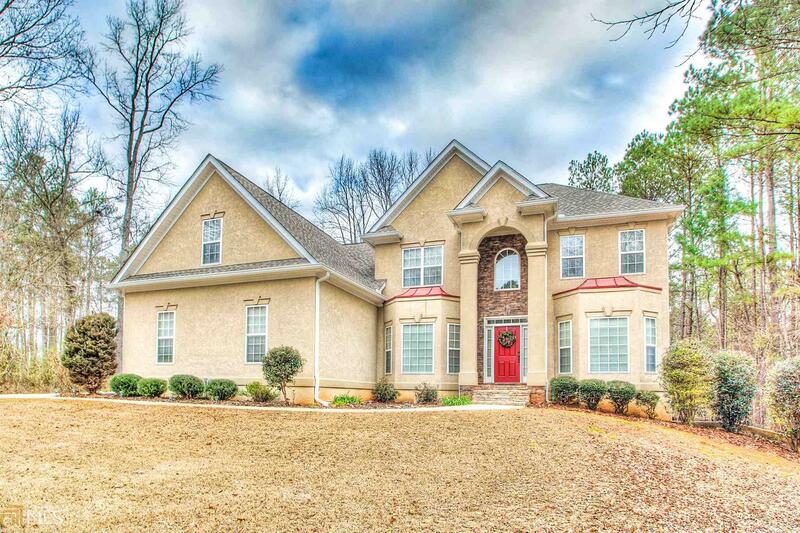 Spectacular 5 Bedroom/3.5 Bath 2 Story Home On A Full Unfinished Basement In The Desirable Starrs Mill High School District!!! Cul-de-Sac Lot!!! Living Room, Dining Room, Huge Family Room W/Gorgeous Stack Stone Fireplace! Kitchen Has Been Upgraded With Granite & Stainless Steel Appliances! Large Walk In Pantry! Guest Room On Main With It&apos;s Own Private Bath! Upstairs Includes Huge Owners Suite, Owners Bath With Dual Sinks, Stand Up Shower, Garden Tub and Massive Owners Closet! 3 Other Bedrooms Up With 2 Other Full Baths!! Upstairs Also Includes Huge Second Family Room/Bonus Room! Beautiful Screen Porch & Deck Addition Out Back!! Huge Unfinished Basement With Plenty Of Room To Expand! 2 Hot Water Heaters, New HVAC & Brand New Roof And Gutters!Fenced Backyard!